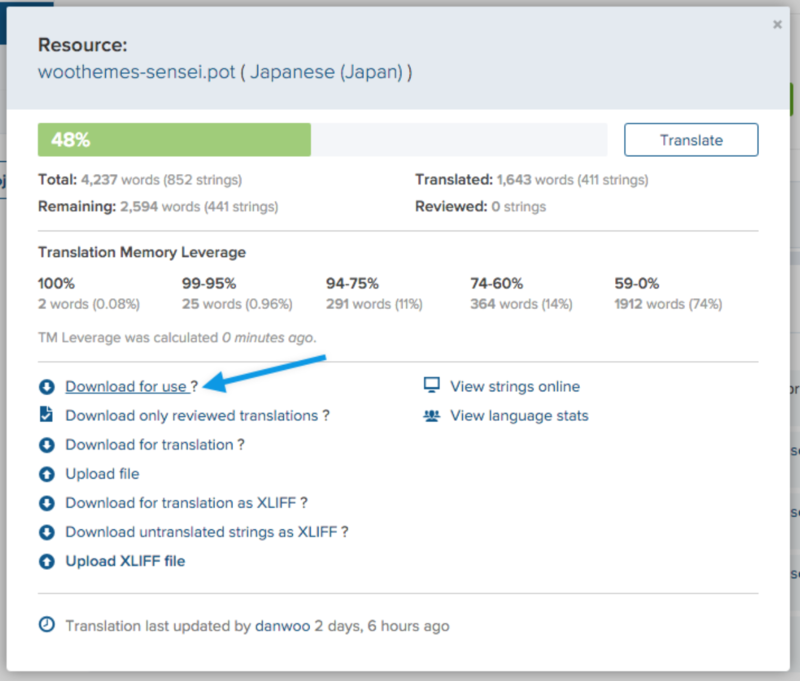 Sensei translations are available as language packs that can be installed from your dashboard. For details of how to see which languages are available and how to install them, see Sensei in Your Language. If there isn’t a language pack available for your chosen language, or the translation for your language is incomplete, you can do the translation yourself. To begin, go to https://www.transifex.com/ and create a free account. Once your requested language has been approved (usually within 2 working days), you can proceed. For more details on using the Transifex Editor, see the official Transifex documentation. Your completed translations will be included in the next language pack update, which will coincide with the next Sensei update. 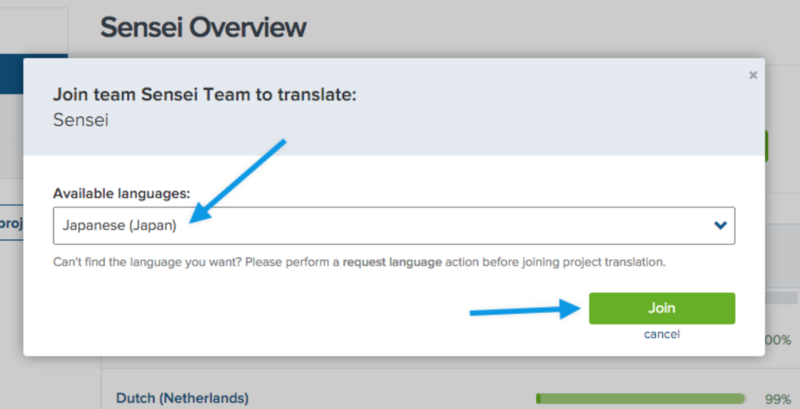 If you want to use translations in the meantime, download and install them on your site manually. Upload this file to your website in the /wp-content/languages/plugins/ folder. For the translations to work, the .po file you uploaded needs to be compiled to a .mo file. You need to install a plugin to do this. We recommend the free Loco Translate plugin. Go to Plugins > Add New, search for Loco Translate, then install and activate. Go to Loco Translate > Manage Translations and look for Sensei in the list of plugins. Loco Translate should recognize the .po file you uploaded so you should see your language in the list. Click on it. If you switch to your chosen language in Settings > General > Site Language, your translated Sensei strings can be seen.